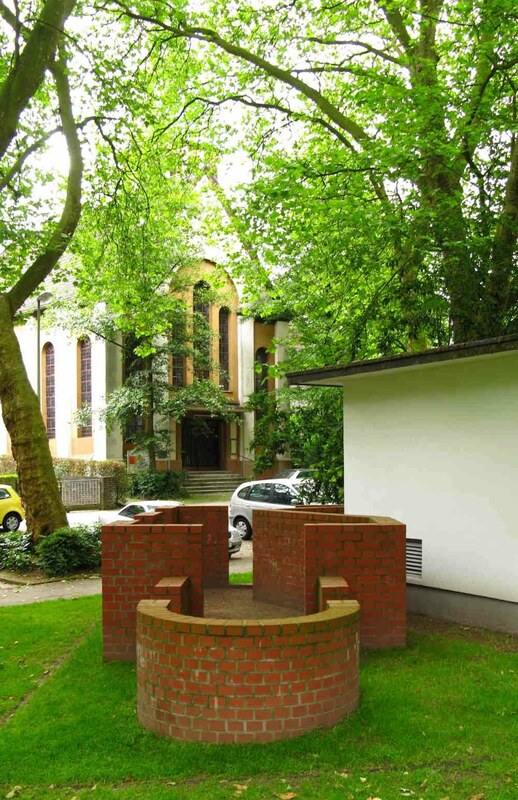 The centre-line of Hannes Forster´s sculpture points directly to the landmarked church of the Selbständige Evangelisch-Lutherische Kirche Essen / Autonomous Lutheran church SELK on the opposite side of the street (corner of Moltkeplatz 17-19 and Semperstrasse). 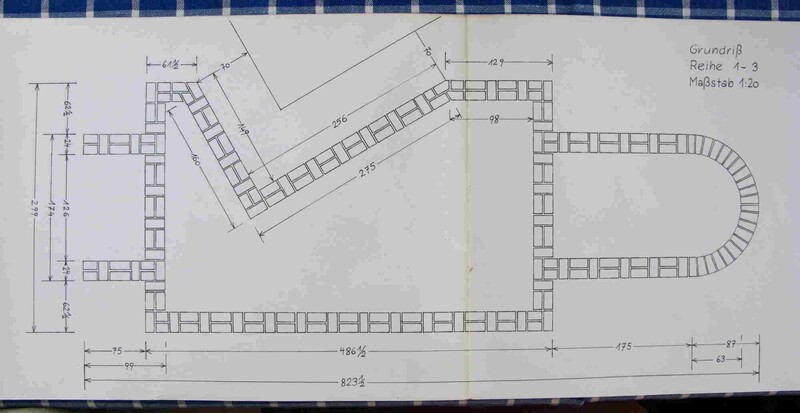 Dimensions approx 1,370 x 820 x 320 (h) cm. 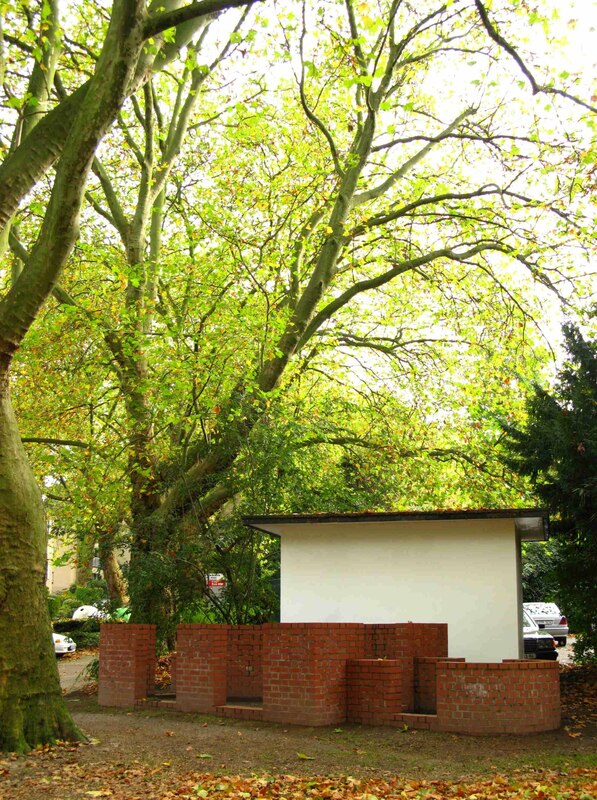 Hannes Forster includes the size of the white transformer station when giving the size of his sculpture. 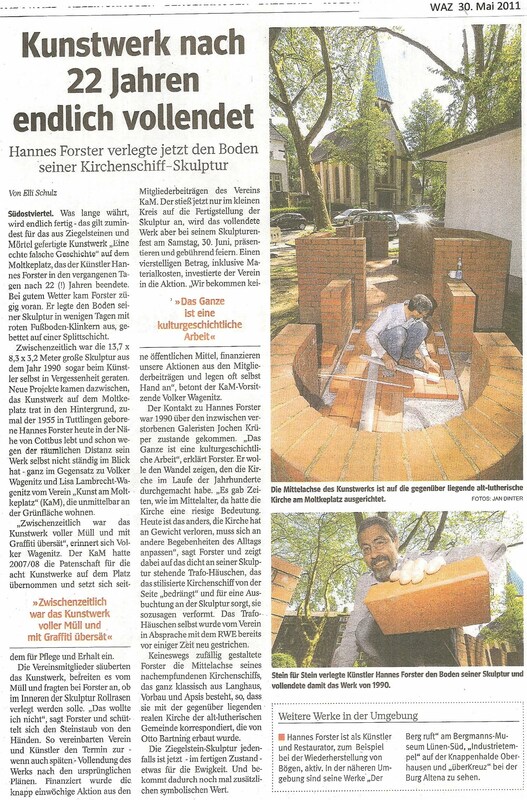 In an interview on the occasion of finalizing his work in May 2012 (see below) Hannes Forster has presented his ideas in respect of this sculpture: see WAZ printed article or (online) 29/30 May 2012. 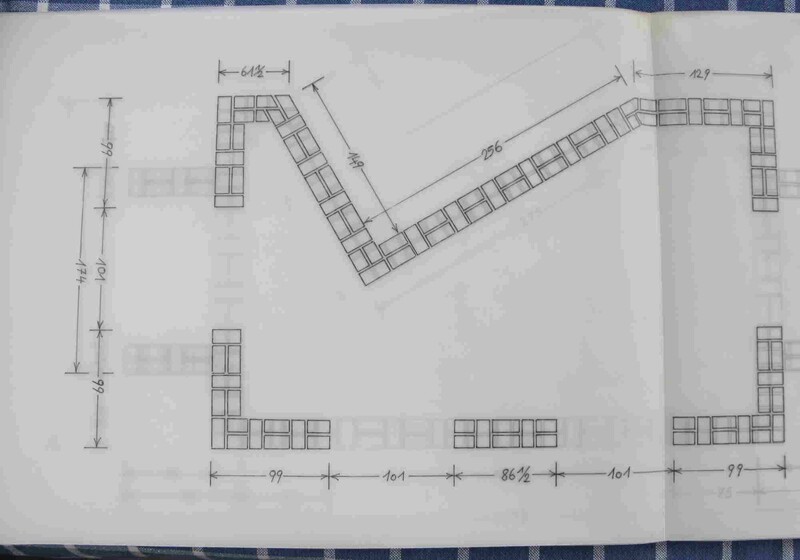 The plans show the bricks laid as a "Gotischen Verband / Gothic Assemblage"
During 22 - 26 May 2012 Hannes Forster has been finalizing his brick and mortar work Eine echte falsche Geschichte / A Genuine Fake Story of 1990. The interior of his work had originally been planned to be covered with redbrick as well... which has only now been finished. 22 years of waiting have come to an end. At times, members of the association KaM have been working alongside the artist (cf picture). The WAZ newspaper carried a printed article and (online) 29/30 May 2012. More about Hannes Forster here.